If you think you are getting the most out of your Customer Relationship Management system, consider the possibility that you're wrong. There is so much companies can do to improve their use and understanding of CRM systems that if you were getting everything you can out of it, you'd be in the extreme minority. But there are ways to take your CRM system to the next level, and get real, tangible value from your effort. Personalize your communication with customers and prospects. Seems like a no-brainer, but most companies still don't do this, and it makes a big difference in read and response rates. "Products are very commoditized, so how you differentiate your company is by your relationship with the customer," says Forrester senior analyst Kate Leggett. That means knowing what channels the customer prefers to communicate through and leveraging the customer's past history of purchases and service issues. If you knew that Mary Jones bought Product X, you could send her a proactive personalized email on a complimentary product she might be interested in. If you know she dislikes email but likes social media, you might put your promotion on your Facebook fan page or send a tweet. You can also use alerts, something Leggett says very few companies take advantage of. If John Smith has indicated that he will buy a suit jacket if it falls under $150, you can send him an alert when that happens. But this means you have to…. Have a unified customer record. Very few companies today do this well, but it's critical to achieving personalization, relevant messaging and customer satisfaction. Your CRM software system should record every interaction with each customer through any channel. If your business systems are integrated, this isn't difficult. But more often than not, companies use one tool for your email-based customer service agents, another for your call center agents, and perhaps a third for the direct marketing group. If these groups aren't sharing information—either due to turf wars or lack of system integration—you're missing out on a big revenue opportunity. With system integration, everyone sees the same complete view of the customer. That way, if a customer is known to have had service issues with the company in the past month, for example, you'll know to temporarily avoid targeting them for a sales call, and if you know what they have bought in the past, you can send valuable complimentary offers their way through the channels they prefer. Upgrade your CRM technology. 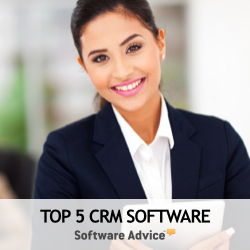 Many companies installed their CRM application and other systems five or even ten years ago. Most customer management systems haven't been touched since they were installed, Leggett says, but upgrades often have valuable capabilities and integrations that can make CRM systems much more productive. Common software upgrades include social media capabilities, new mobility options, proactive notifications, and other functions that can help companies better understand their customers' behavior, better predict buying patterns and better act on that information. Integrate with social media. There are social media hooks in many upgraded CRM systems, but it may also be necessary to add one of the many social media management tools on the market today. These tools let companies participate in a variety of social media platforms and provide full monitoring, tracking and response analysis. When integrated with a CRM system, companies can track social media discussions and learn more about their customers. "When you add social media to CRM software, it gives you a great opportunity to find different ways to have more robust interactions with customers, which can result in increased business," says Denis Pombriant, managing principal at Boston-based Beagle Research Group LLC. The key to making social media work for you in a CRM context is to spend much more time listening than messaging, Pombriant advises. If you listen well, it gives you all the data you need to respond and communicate more effectively with your customers, he says. Add a full-fledged analytics tool to the mix. To get the most out of any part of your CRM system, you have to know how well you're hitting on all cylinders with your customers. That means not only tactical measures such as marketing campaign open rates, but sales figures and other measures of profitability. Although CRM systems have some reporting functions for some of these areas, other, newer areas, such as social media, are traditionally difficult to measure and analyze. In fact, a recent study from Harvard Business Review found that most companies aren't doing much to analyze the social media data they are collecting. The best way to analyze it, Pombriant says, is to employ a business intelligence tool from a company like Oracle, SAP or SAS (either on-premise or on-demand) to better understand your data and turn it into actionable information. With that information, you can fine-tune your approach to customers and specific campaigns, improving results. When you add social media to CRM software, it gives you a great opportunity to find different ways to have more robust interactions with customers, which can result in increased business."